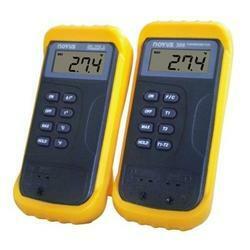 Pioneers in the industry, we offer handheld digital thermometer from India. By utilizing our years of experience, we bring forth a qualitative array of Handheld Digital Thermometer. The offered range is manufactured utilizing superior quality raw material and latest technology. Moreover, a team of our quality analysts conducts a series of quality tests on the entire range to seek out any possible defect. In tune with international standard, we provide the entire range in various customized options and industrial leading prices.